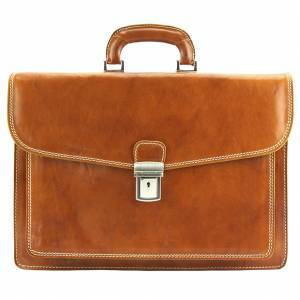 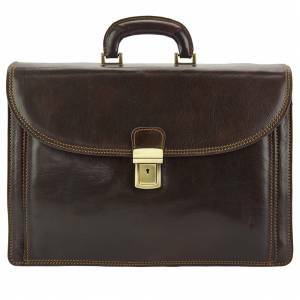 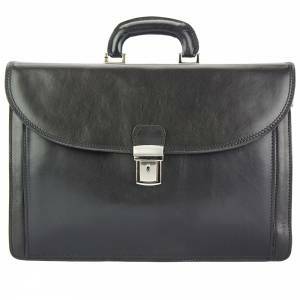 Leather briefcase with shoulder strap. 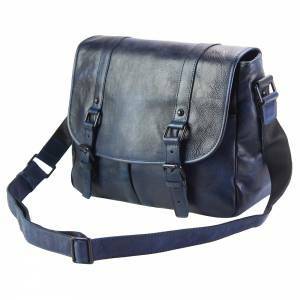 Roomy: two suede-lined compartments inside and a large snap buttoned pocket on the front. 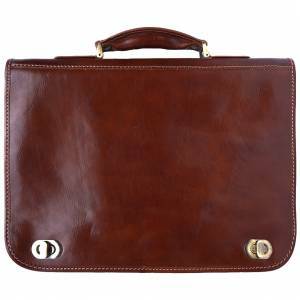 Top handle for hand-carry. 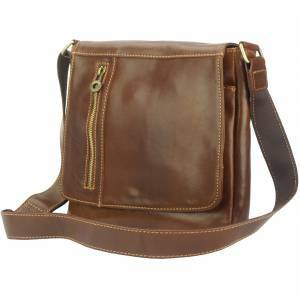 Classically designed with plain colored leather and traditional belt closure system at its bottom.